Given a choice of two opposing statements, nearly two-thirds (61%) believe pipelines threaten New Jersey and only one-third (32%) believe they help, virtually unchanged from the last study. 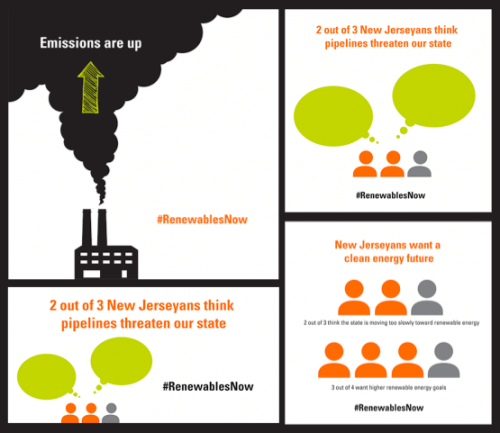 Overall 75% favor New Jersey’s next Governor moving to the higher goal of sourcing 30% of energy from renewable sources by 2020 and 50% by 2030. 87% said they believe investing in renewable energy is “very” or “somewhat” important to the overall health of New Jersey. This figure includes 83% of Republicans, 82% percent of independents and 96% of Democrats polled.